Our master bathroom is currently a very tight space that fits just the essentials. 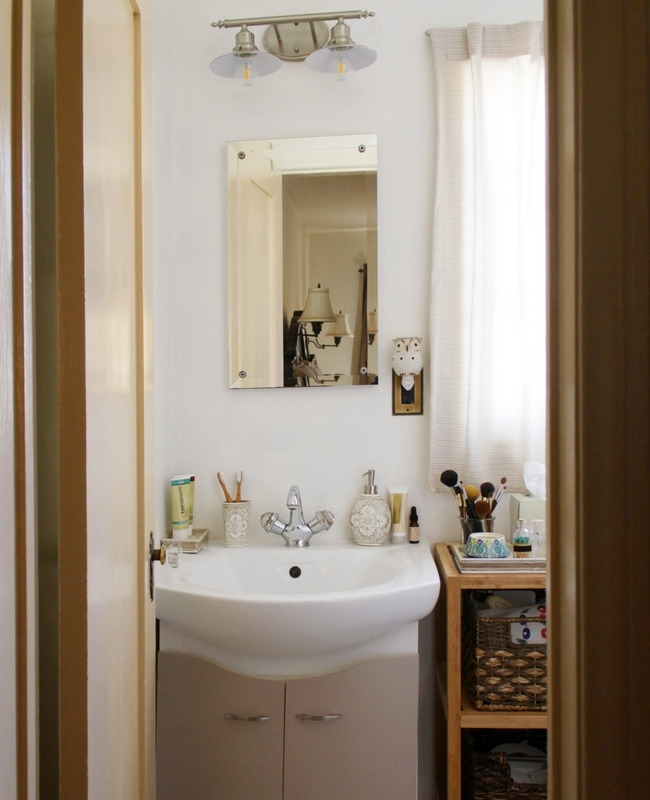 There is a closet right next to it that we plan to demolish someday to expand the bathroom to fit a double vanity and a bit more space. However, with a baby coming (not to mention the mental fatigue of home remodeling after the past year of large projects), we decided to hold off on making any big structural changes in this room. Instead, we have been making some relatively simple changes to improve upon the unsightliness from the previous owners. Overall, it’s functional and pleasant enough to hold us over for the next few years. Previously, the floor tile was a hideous speckled blue, so we knew that was one of the first things that needed to change. We were not going through the massive undertaking of replacing the floor tile, so the only option was to paint it. 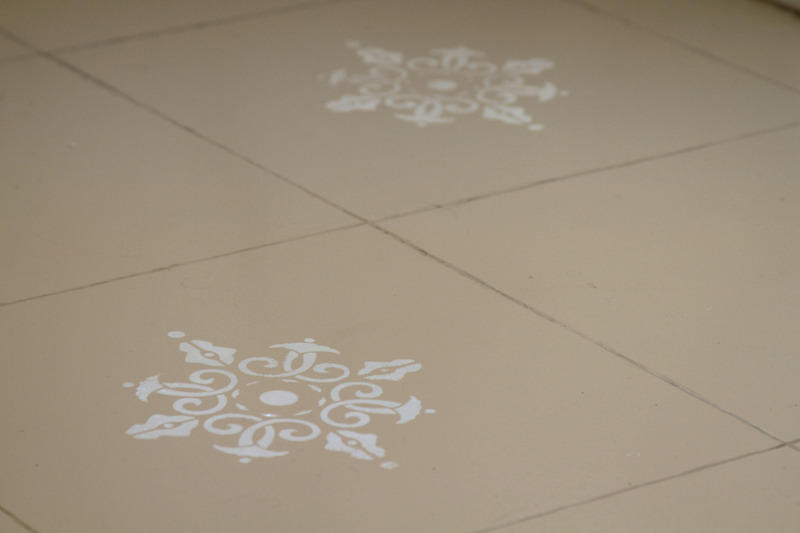 We used colors that we had already been using elsewhere in the house, and placed a stencil on every other tile. We painted the cabinet doors a color that would compliment the moulding and floor, and changed the lighting fixture and switch plates. 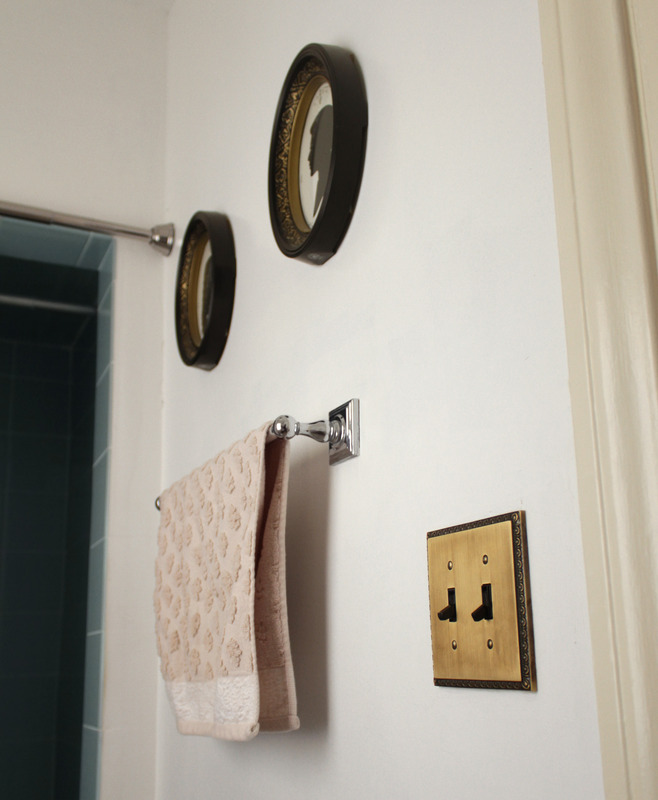 On the mirror, we glued four little metal rosettes to the corners to give it some presence. 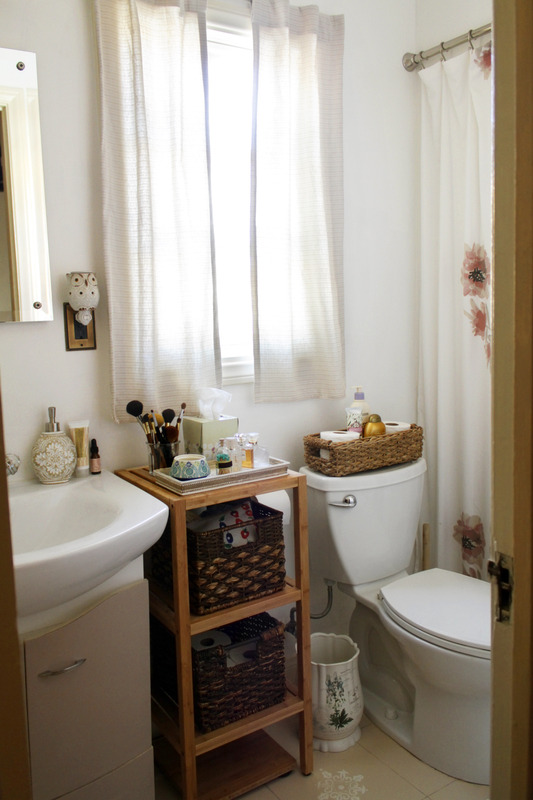 After the major work, we decorated with items such as new curtains, bath mats, and some small frames that would fit the space. 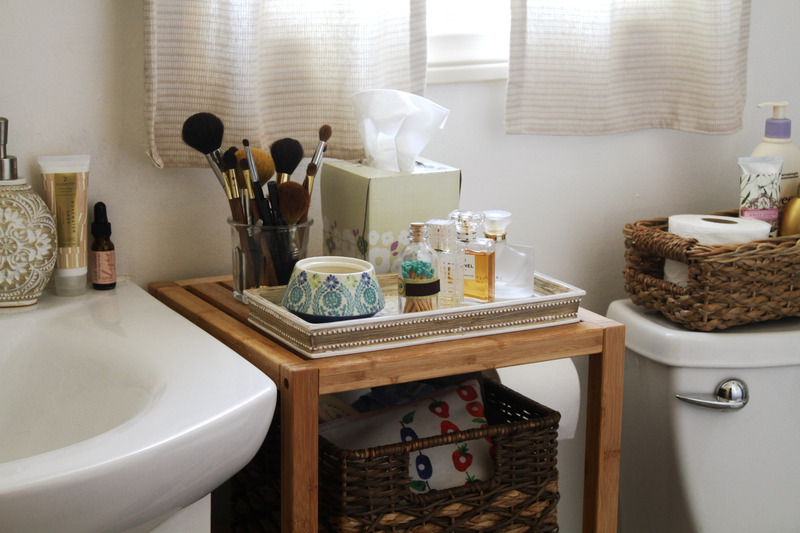 Introducing a bamboo shelf and wicker baskets gave us more space for storage and easy access to every day toiletries. Though these changes have been small, it has made a world of a difference.